UK Release Date - 21st April 2014. UK Release Date - 5th December 2014 (2014 Tour Special Edition). US Release Date - 22nd April 2014. Producer - Joe Elliott/Ronan McHugh. Studio - Joe's Garage, Dublin, Ireland. Record Label - Mailboat Records/Blugeon Riffola. 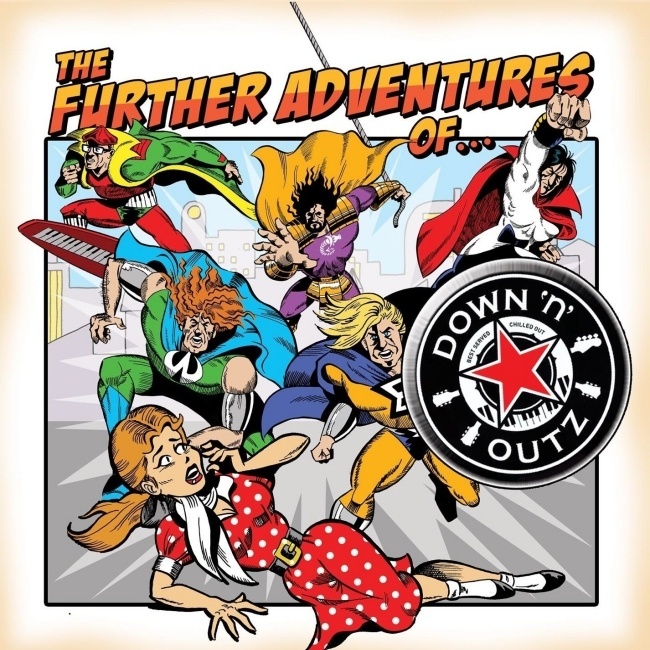 The second studio album by Joe Elliott's side band the Down 'N' Outz featuring Joe on lead vocals. The other musicians are members of UK band The Quireboys plus their former drummer Phil Martini. This album features 10 covers of Mott The Hoople songs plus two by Mott (renamed after Ian Hunter left). Co-Producer Ronan McHugh played some bass parts on the album along with guitarist Paul Guerin and Mark 'Snake' Luckhurst (ex of Thunder) who played live with the band in 2011. The first single 'Rock And Roll Queen' was released on 14th April as a digital download. In December 2014 a Special Tour Edition was released to coincide with the UK tour for 'The Further Adventures Of...'. Both studio albums were released with two bonus tracks and limited to 500 copies. The edition of this album featured the two iTunes bonus songs.